Probably one of the most popular barbecue meats, bulgogi is a traditional Korean dish known for its addictive sweet and salty combo. The trick is to slice the meat paper thin so it can soak up as much of the delicious marinade as possible. 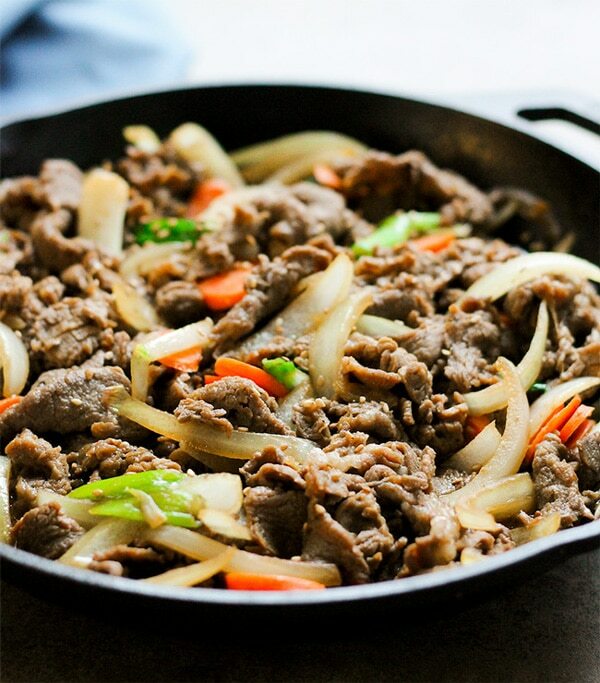 You guys, I am really excited to share this new paleo bulgogi recipe with you today. This DELICIOUS Bulgogi (BBQ Beef) comes from the new cookbook, Korean Paleo, written by my friend and colleague, Jean Choi. I am pretty sure it will get added to the menu rotation in your home regularly! Before this year, I could honestly tell you that I have never cooked a Korean dish before, other than kimchi. My family didn’t eat much in the way of ethnic food growing up. I grew up in the middle of the Rocky Mountains, surrounded by National Forest, and the nearest town with any kind of selection was a good 35-45 minutes away. Even when we did go to the city, we didn’t explore much. Once I became an adult, I still didn’t venture out to many of the ethnic restaurants in the neighborhoods where I lived. I always felt a little intimidated and I also had dietary restrictions which sometimes made it hard to navigate the menu. Gluten and grains are a huge one on Asian cuisine, but so are things like pork and shellfish, which I also avoid. Thankfully, the Korean Paleo cookbook is allowing me to get all the flavor of Korean food in the comfort of my own home. Plus, every recipe is gluten, grain, and soy free, so I don’t have to worry about a lot of recipe adaption. The recipes that call for pork, I will likely just sub chicken or beef. And the recipes that call for shrimp (which is used in stock bases for flavor), I will probably just skip that ingredient because I know there will still be a ton of flavor in whatever soup I make. Korean Paleo contains 80 recipes, most of which are traditional and authentic in flavor. Some of them are modernized, fusion, or healthified versions of popular Korean fast foods. You’ll get a little taste of everything in this book. You’ll find recipes that are crowd favorites like Bibimbap, Paleo Bulgogi, and Kimchi, as well as Korean barbecue items. You will also find dishes that you may have never heard before, but it’s encouraged that you still give them a try because food curiosity is always a good thing. I learned from Jean that there’s only a small portion of Korean cuisine that’s been popularized internationally. So what you may be familiar with as Korean food is just a small sampling of what the culture actually gives us. It’s such a rich and diverse cuisine that Jean said she had a really hard time narrowing down the number of recipes to just 80 for this new cookbook! Cooking with Bap (Rice Dishes) contains some of Jean’s favorite dishes that use rice, or in this book, cauliflower rice. BBQs and So Much More (Protein Dishes) was Jean’s chance to show that Korean food is way more than just Korean barbecue (including today’s Paleo Bulgogi recipe!). Piping Hot Soups and Stews which includes some popular soups and stews that are mostly served family style so everyone at the table can share. Gooksoo Time! (Noodles) highlights recipes that are made with various grain-free noodles and spiralized vegetables. Not-Your-Typical Pancakes includes crispy and delicious savory pancakes with various vegetable and/or protein fillings. More Banchan Please? (Side Dishes) is one of the biggest chapters and includes some of Jean’s favorite mini dishes you can get at Korean restaurants (many times for free) to eat with rice. Best of Both Worlds (Fusion) is a way to taste some of your favorite familiar foods infused with bold and delicious Korean flavors. Something Sweet to Balance Out the Spicy contains some of the best-known desserts in Korea that are unique and fun. Korean Kitchen Must-Haves has some of the kitchen staples that you’ll need when you start cooking Korean food. Even though this is the last chapter, Jean suggests that you start here and make sauces like Gochujang (Korean red chili paste) ahead of time because they are used in many of the recipes in the book. What Dietary Styles Does the Korean Paleo Cookbook Fit? 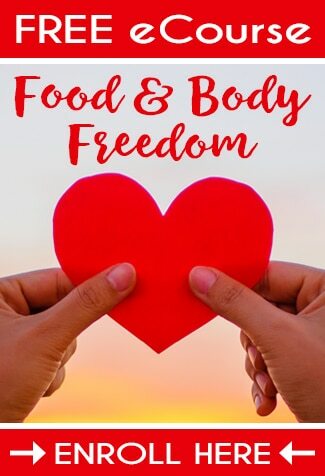 If you’re reading this blog post, then there is a pretty good chance that you are dealing with at least one food sensitivity, if not more. And if you’re not personally dealing with this, you may be the parent, friend, or caretaker of someone who is. Thankfully, there’s a little something for everyone in this cookbook, no matter your dietary style. 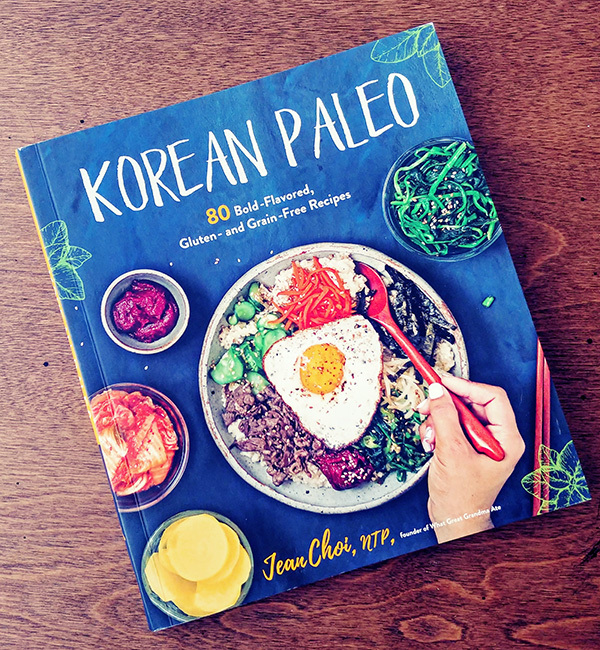 Where Do I Get the Korean Paleo Cookbook? This cookbook just launched so you may not yet find it in your favorite bookstores. 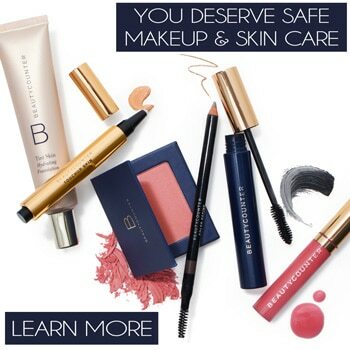 If you can’t, you can easily find it on Amazon here. I highly recommend this cookbook and am confident you won’t be disappointed. 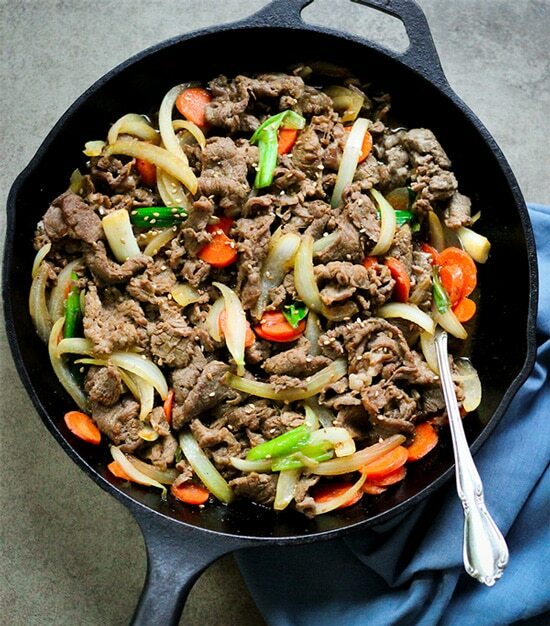 I chose to share this paleo bulgogi recipe on the site because it sounded so good the minute I saw it. And, I think it’s something I can get my non-adventurous hubby to eat. AND, it looks like it will make EXCELLENT leftovers, which this girl is all about! Bulgogi is a traditional Korean dish known for its addictive sweet and salty combo and is probably one of the most popular barbecue meats. The trick to getting the right texture and flavor in this paleo bulgogi recipe is to slice the meat paper thin so it can soak up as much of the delicious marinade as possible. If you’re in a hurry and don’t have time to slice the meat for this recipe, it is likely that you can probably find these meats pre-sliced at a local Korean grocery store. If not, you can easily do this at home. The two tricks Jean and I would suggest would be to make sure your knife is super sharp and freezing the meat slightly first (about 30 minutes should do the trick). This will help the meat slice much easier and you’ll fly through this step in no time. Sprinkle with toasted sesame seeds before serving. You can eat Bulgogi on its own or in a lettuce wrap served with Umma’s Ssamjang (Dipping Sauce) found in my book, Korean Paleo.